SCM is one of the large Ukrainian employers. DTEK has completed unbundling of electricity supply and distribution on time and in line with electricity market reforms as prescribed by the Law of Ukraine On the Electric Power Market. Distribution system operators (DSOs) have become successors of former oblenergos. In addition, legal entities have been established to supply electricity only. Operating companies have been set up for the strategic management of each business area. This approach will ensure independence of management decision-making in DTEK Group. Following the unbundling, DTEK Kyiv Grids, DTEK Dnipro Grids, and DTEK Donetsk Grids distribution system operators have evolved from Kyivenergo, Dneprooblenergo, and DTEK Donetskoblenergo respectively. At the same time, three independent suppliers have started operations: Kyiv Energy Services, Dnipro Energy Services, and Donetsk Energy Services. DTEK Grids operating sub-holding is responsible for the strategic management of the DSOs, DTEK Power Grid, and DTEK Energougol ENE. 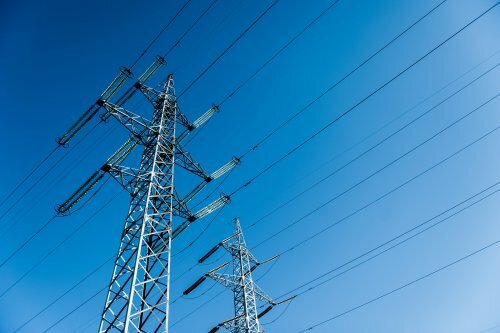 Under the transitional regulations, the electricity suppliers in Kyiv, Dnipropetrovsk and Donetsk Oblasts will be providers of universal services for two years. The services include a guaranteed electric power supply at established rates to households, small non-household consumers, public-sector organisations, and other consumers that use up to 150 kW under contracts. D.Solutions, an independent operating sub-holding, has been established to coordinate operations of the suppliers. At the same time, D.Trading has been set up and tasked with the development of the energy resources wholesale in Ukraine and outside. The company will deal with large customers and manage DTEK's market portfolio in general. "DTEK widely supports the electricity market reforms. A transparent and clear market is needed to bring investment in Ukraine's energy sector and thus strengthen the nation's energy independence. We are among the first companies to have completed the unbundling of electricity distribution, supply, and generation. This helps our trading business to enter new markets in other regions, attract new customers, and get ready for operation in a free wholesale electricity market. Suppliers are now able to develop a client-centred business to European standards. In turn, distribution system operators have focused on stronger security and higher quality of grid operation. Innovations and higher quality of services will be priorities for all our companies in the course of reforms. Ukrainians can see the first results as soon as in 2019," DTEK CEO Maxim Timchenko said.